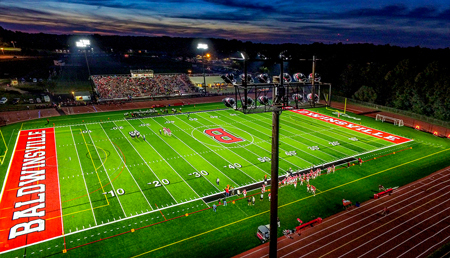 Stadium | Commerical lighting services with Parker Lighting, inc. 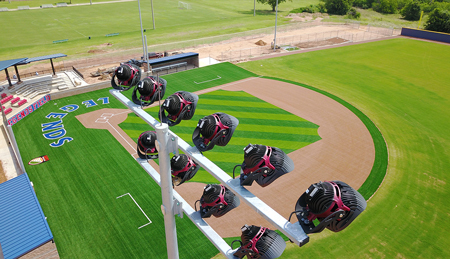 When it comes to stadiums, lighting solutions are not exactly easy to come by. There are A LOT of sports fans out, but stadiums often have to accommodate more than just sports teams. Events, concerts, and even ceremonies can be held in stadiums, and each requires their own unique lighting. With so many sections and such a large space, lighting can be a nightmare, which is why it requires an expert. Parker Lighting, Inc. has those experts, and there is no job (or location) too big for us to handle. Lighting suppliers need an encyclopedic knowledge of how lighting and stadiums work in order to get the job done properly. Take into account something like indoor lighting: The playing area not only has to be sufficiently lit for the athletes but also reduce glare for the attendees. Such a situation requires knowledge of lighting fixtures that can illuminate to each of these needs and be efficient enough to not surge costs dramatically per use. That isn't even mentioning outdoor stadium lighting. Powerful lights are essential to ensuring that a field is viewable when the sun goes down without being overly intense or washing out the colors of the field. Stadiums may also need to take into account cameras and recording areas to ensure that lights don't interfere with broadcasts. The right answer to these problems is often the creative one. 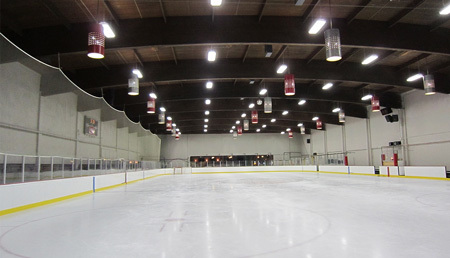 It is a tall order to accommodate lighting for players, fans cameras, and even frequent interviews. Stadiums have to be bright enough to see all the action without blinding to anyone watching it. 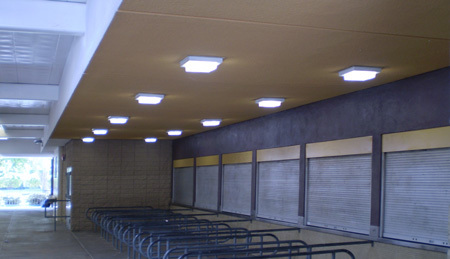 A comprehensive lighting system with full controls is ideal for most scenarios, especially since many groups or networks may have different lighting standards or preferences. With Parker Lighting, Inc., we have the resources and know how to accommodate these demands and can refer clients to the exact types of lights that will work with any given scenario.